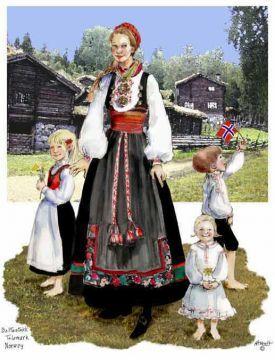 Each area in contemporary Norway has its own bunad(s) with specific design characteristics that were approved sometime during the 20th Century by a regional committee seeking to preserve the area’s heritage. 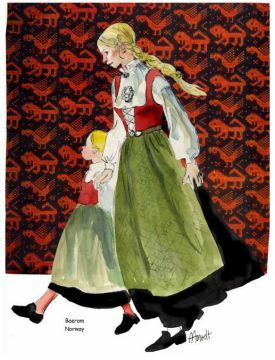 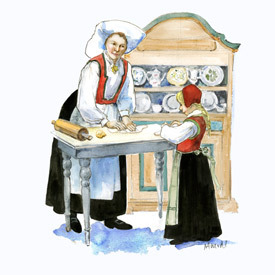 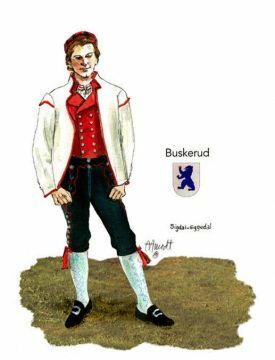 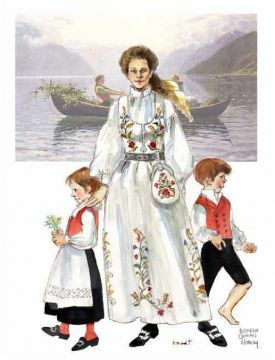 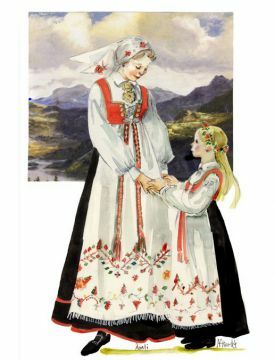 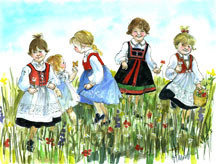 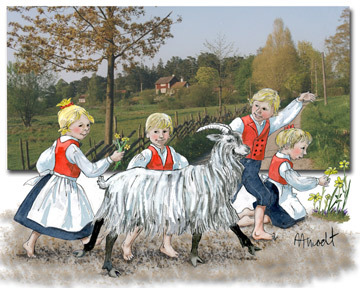 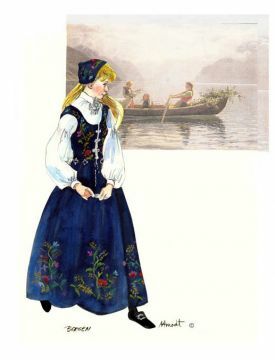 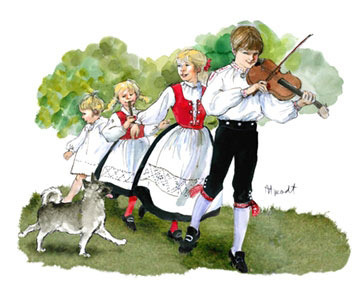 The “bunad” actually means just “clothes” but in modern usage has come to refer to the colorful costumes worn by Norwegians on festive occasions. 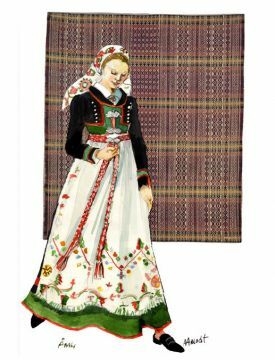 The designs of bunads from some areas have origins in antiquity while the design of others have come from more recent influences.